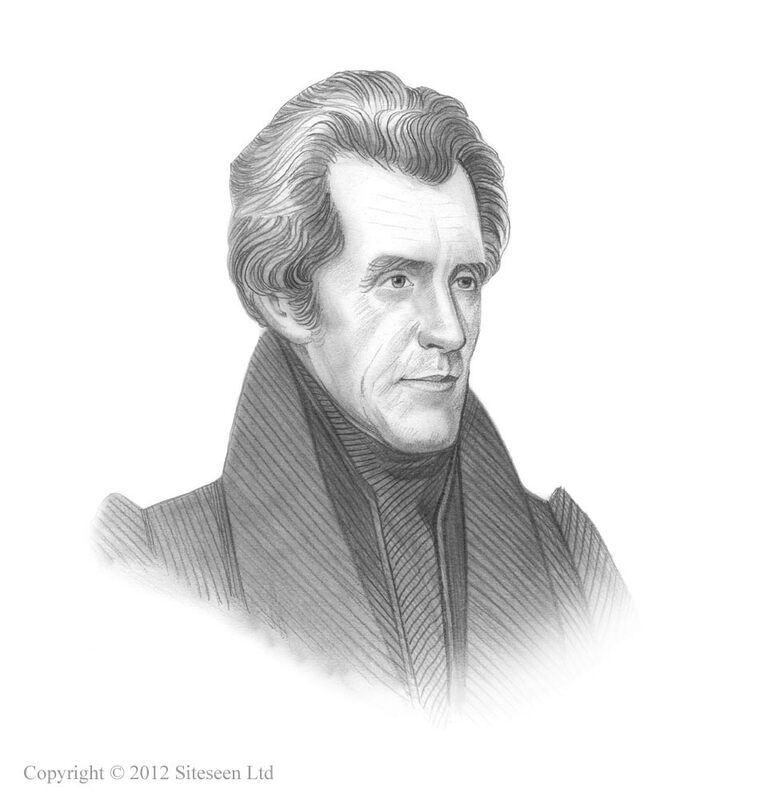 The Kitchen Cabinet: Andrew Jackson was the 7th American President who served in office from March 4, 1829 to March 4, 1837. One of the important events during his presidency was his use of unofficial advisors referred to by his enemies as the "Kitchen Cabinet". Summary and definition: The 'Kitchen Cabinet' was the name given to close, unofficial advisers of President Jackson. Early in the Jackson administration a scandal erupted referred to as the Petticoat affair (aka the Peggy Eaton affair) that involved members of the official presidential Cabinet of Andrew Jackson and their gossiping wives. The affair led to the forced resignation of almost the entire cabinet, including the vice president. Andrew Jackson then abandoned official cabinet meetings for meetings with his friends, that was called the Kitchen Cabinet. The Kitchen Cabinet history revolved around the scandal known as the Petticoat affair or the Peggy Eaton affair. Peggy Eaton had married John Eaton, the Secretary of War. The marriage, and the morals of Peggy Eaton, were highly criticized by the highest society in Washington D.C. including the Cabinet social circle and even his niece and First Lady Emily Donelson. Andrew Jackson supported the Eaton's and was furious at the gossip and the bad publicity which had become a liability for the Democrats. The President asked for the resignations of his disloyal cabinet, including that of his vice president John C. Calhoun. Secretary of State, Martin Van Buren, emerged unscathed, he was the only unmarried cabinet member and was not involved in the scandal. Why did Jackson have a Kitchen Cabinet? Andrew Jackson had had enough of the vicious tongues in Washington. His recently deceased wife, Rachel Donelson Jackson, had also suffered due to the spiteful, wagging tongues of Washington society had accused her of adultery and bigamy. He abandoned official cabinet meetings and used the heads of departments solely to execute their departmental duties. Instead, he sought the advice of old personal friends from Tennessee and loyal newspaper editors. Andrew Jackson believed that only the President could be trusted to stand for the will of the working people against the upper-class Congress and used his power of veto more often than all six previous Presidents combined. Their meetings were informal, they smoked their pipes together and formed his "kitchen cabinet." He rarely called an official cabinet meeting and when he did it was usually to tell the members what he had decided to do. The official cabinet was given the nickname of the "parlor cabinet". Who made up Jackson's Kitchen Cabinet?